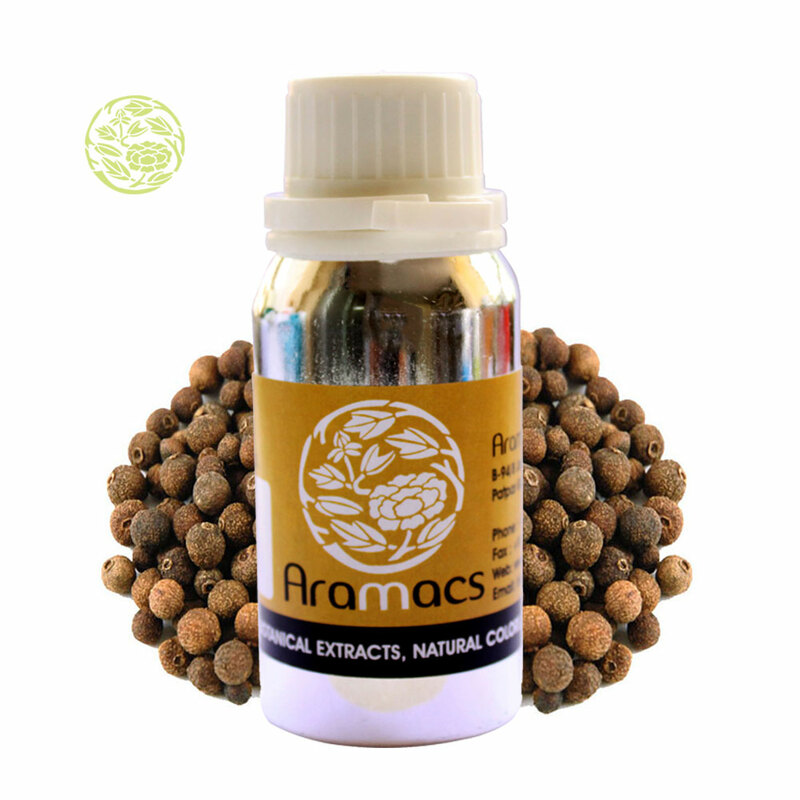 Blends Well With: Pimento berry oil blends well with Geranium, Ginger, Patchouli and Orange oil. 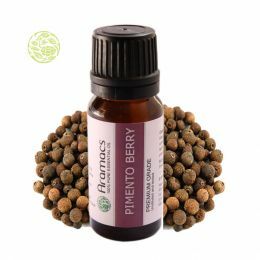 The tradition was not lost overtime for even in this modern age the Pimento berry essential oil is used to treat various disorders. Famous with its ‘allspice’ name it natural that is used in the food industry. It is used as a flavouring agent in breads, sweets,cakes, pies, biscuits, stews and soups. Sometimes the whole berry is used to give an extra strong aroma. It is also used in the perfume industry and is used to make perfumes for men – this might be of its strong aroma. The oil is said to have a positive effect over the mind and body ailments. It is very useful when used for problems created due to depression, stress, exhaustion and nervous tension. Pimento berry oil has a warming effect which is very effective for muscular cramps. Traditionally it has been used to treat bad breath and toothaches. It is believed to be used in protecting against evil powers and in cracking magical spells. It was used in tea in the Dominican Republic for stopping vomiting. The Pimento is a tree which can bear fruits for about 100 years. The first fruit appears when it is three years old and after that it goes on for more than a man’s lifetime. The berry is ground for the oil even though the outer rind has most of the essential elements.For Pimento berry oil, the fully grown fruit is dried, crushed and steam distilled. History of the Plant: It grows in the wild. The medicinal properties of this fruit were known to the natives of countries like Caribbean Islands,Central America and Jamaica. There is mention of the usage of this medicine in the folklore of Mexico. It was mostly used in treating stomach disorders,menstrual cramps and cold as well. In the native Caribbean and South American homelands,Pimento leaves and berries have long been used as a kitchen spice and herbal remedy. It was the first spice that was ever brought back to Europe from the New World. It soon gained popularity in the Old World too, and not just as a spice. Up until the last century it was official in the European pharmacopoeias. Ayurveda, the most ancient healing science, has put this berry into good use. It is recorded thatPimento has been used for common ailments like cold to complicated procedureslike plastic surgery. It was and is used to treat respiratory problems.Muscular and rheumatic pains are treated with this oil. It has a positiveeffect on cancer and some degenerative diseases as it has high radical fightingactivities. Most of the traditional system of medicine use Pimento berry oil inpreparation of their medicines.